Benefits of Solar Pool Heating Systems. / Benefits of Solar Pool Heating Systems. You do not have to worrying anymore, about high costs to heat your pool with gas before guests come over. No need to wait before the weather is hotter before your pool is at a comfortable temperature. The average pool owner uses the pool three or four months a year because the water is too cold the rest of the time. Solar Pool Heater Las Vegas systems will increase the value you get from your swimming pool and guaranteeing a lifetime of family fun and entertainment. Installing a solar heater can extend that swim season a few months or more, up to nine or even ten months out of the year! Why should I get Solar? Solar Pool Heater Las Vegas, runs cleanly and effectively, which means it requires very little maintenance each year where as an electric or gas heater requires yearly maintenance cost. The monthly operating cost of an electric or gas pool heater is between $300 and $600. A heat pump requires about $50 to $150 of monthly operating cost. For solar pool heaters, there is no additional monthly operating cost since the sun’s energy is a free renewable resource. The lifespan of a solar-powered pool heater is between 20 to 25 years. Since most of the technology has actually not been in mass use for that long, the average lifespan of the heaters may even go up as time goes by. 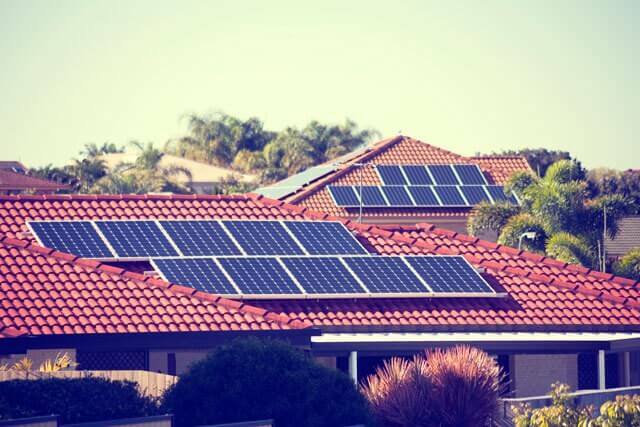 You do not have to worry about the solar panels and heating system that you purchase today will be outdated in a few years; the technology is cemented and will remain more or less the same even as more sophisticated models hit the market in years to come. The solar panels could last even longer, at least 20 to 30 years. Solar pool Heater Las Vegas has a payback period of just a few years, afterwards meaning you have free pool heating. Using a solar pool heater is easy. Just set your automatic controller to the desired pool temperature, and your pool heater will do the rest. When the controller senses that there is adequate sunlight to heat the pool, and the pool is cooler than you like, water is automatically diverted to your solar system. As the water flows up through the solar collectors, the sun’s energy heats it naturally, using no additional energy. The heated water then flows back into your pool. This cycle continues until your pool reaches the desired temperature. This can also be done to cool your pool during the warmer months by running the solar pool system at night. The automatic controller can switch to cooling your pool automatically. The system can also be controlled with a manual control valve. For maximum solar heating benefit, you should have enough solar panels to equal about 50% of the square footage of your pool. But not everyone has a conveniently placed roof available, near the pool and the pool equipment, that faces a southerly direction. If you lack this much roof area a solar panel rack can be built somewhere on the property. Copyright text 2015 by Celestial Solar Pool Heating Las Vegas.